​​There are 24 members of Age Alliance Wales, listed below. Action on Elder Abuse (AEA) Cymru is a specialist charity committed to preventing abuse against older people perpetrated by those in whom they have an expectation of trust. Our vision is a society which values older people, where they can live a life free from abuse. We work to ensure individuals and organisations know how to identify, challenge and stop abuse by raising awareness, delivering training and conferences, and we provide direct support via our confidential helpline. Age Connects Wales is mutual organisation set up co-operative principles. It is made up of 6 Age Connects organisations in North and South Wales. The primary objective of the organisation is to campaign and influence to change attitudes to ageing and thereby improve older people’s lives. Age Cymru - is the national charity for older people in Wales – with our independent local partners, we share a vision of an age friendly Wales. For 70 years we have been working with and for older people to improve life for all in later life. Our work continues today through the many vital services, campaigns and programmes we deliver. Alzheimer's Society Wales - A care and research charity for people with Alzheimer's disease and other dementias, their families and carers. Arthritis Care offers a wide range of services aimed at providing support and information to everyone with arthritis. The British Lung Foundation (BLF) was established in 1985 and works for the one in five people across the nation affected by lung conditions and their families. People with poor lung health are always at the heart of everything we do. Not only do we fight for them, we offer them support through our Breathe Easy groups, our Helpline, health information and online web community. Care and Repair Cymru - A network of agencies which work to help older and disabled owner-occupiers to remain in their own homes, in their own communities, living as independently as possible, through providing information about choices that can improve safety, security, comfort, and convenience. Carers Wales enables access to all areas for carers through campaigns, information and advice and a supporting network of branches and groups. Contact the Elderly aims to relieve the loneliness and isolation of older people living alone with limited support from family, friends and statutory services, by organising free, regular Sunday afternoon tea parties. 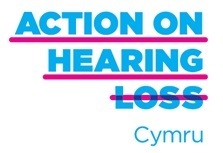 Deafblind Cymru - For deafblind people and those who support them. Disability Wales - The national association of disabled people's organisations striving to achieve the rights, equality and independence of disabled people in Wales. Learning and Work Institute Wales - Advocates on behalf of adult leaners and providers, with a particlar focus on those who are least skilled and most disadvantaged. Prime Cymru - A member of HRH The Prince of Wales’ group of charities. PRIME Cymru provided support throughout Wales to economically inactive people over 50, helping them to return to economic activity through self-employment, employment, training and volunteering as a stepping stone to more formal economic activity. British Red Cross - The British Red Cross helps millions of people in the UK and around the world to prepare for, respond to and recover from emergencies, disasters and conflicts. Our volunteers and staff help people in crisis to live independently by providing support at home, mobility aids and transport. We also teach first aid skills. We are part of the global Red Cross and Red Crescent humanitarian network. We refuse to ignore people in crisis. RNIB Cymru (Royal National Institute of Blind People) - Working for the social inclusion of visually impared people by campaigning and delivery of related services. Royal Voluntary Service - wants a world where every older person has the opportunity and choice to get more out of live. We will enable older people to get more out of life by delivering practical support through the power of volunteering. Sense Cymru - Sense Cymru TouchBase Wales provides a range of services across Wales for deafblind people and their families. SSAFA, the Armed Forces charity, has been providing lifelong support to our Forces and their families since 1885. Our team of volunteers and employees help those in need, from Second World War veterans to men and women who have served in more recent conflicts, and their families. SSAFA understands that behind every uniform is a person. And we are here for that person – any time they need us, in any way they need us, for as long as they need us. Stroke Association - Provision of support to people who have had strokes, their families and their carers. Volunteering Matters in Wales - Volunteering Matters, formerly CSV, is a national charity with over 50 years’ experience. In Wales, our Retired & Senior Volunteer Programme (RSVP) engages and develops older people as volunteers in a range of volunteer-led activities. By investing in people through volunteering we can reduce inequalities and isolation to build stronger more inclusive communities. For further information and details of any of these organisations just click on the highlighted name to go straight to their website.